Based on the popular Channel 4 gameshow, Deal or No Deal Bingo takes Bingo to another level of gameplay. Choose between games of 90 ball, 80 ball and 75 ball. 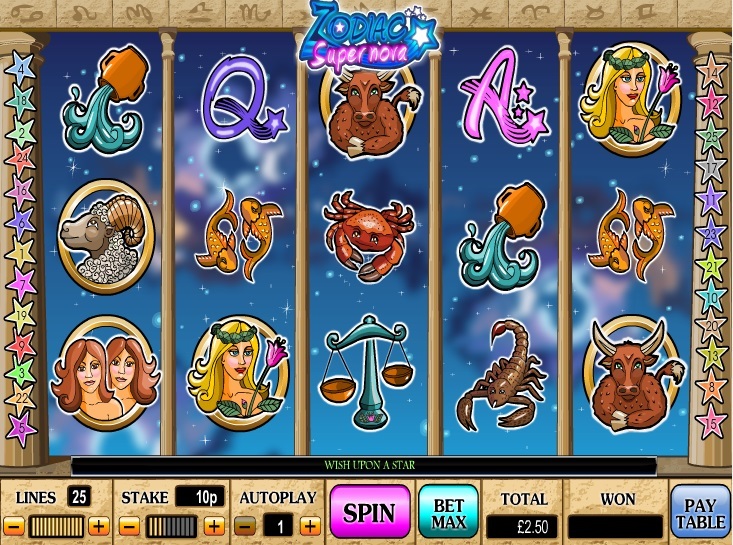 With a minimum or £10 deposit and £20 withdrawal, this site has a multitude of smaller games, such as Zodiac Supernova, a bingo-related games which bases itself around the Zodiac signs. This Bingo Site is unique, in that the bingo balls appear as the traditional Deal or No Deal Boxes. Players also receive a mystery box, of which the contents they will not know. When a number is called – the boxes with the same number are automatically opened, and players can view what amounts are inside. If you win a full house, the “banker” will make you an offer, which you can choose to accept or decline. If users cannot make up their mind regarding the banker’s offer, players within the chat room can all vote in order to help the user decide, making the gameplay for Deal or No Deal Bingo especially unique. If you are a new player, Deal or No Deal Bingo does not offer you any player incentives. However, once you place a deposit this all changes. 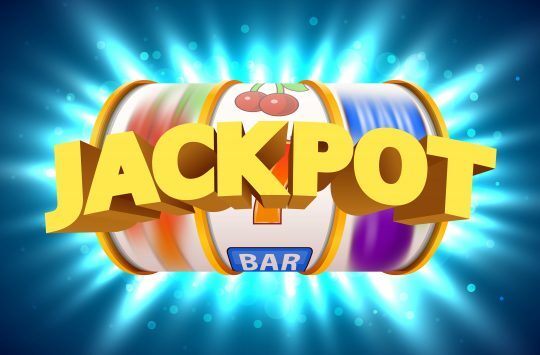 If you place a £10 deposit into your account, you will receive a 400% bonus, meaning you get £40 to play with on the site. 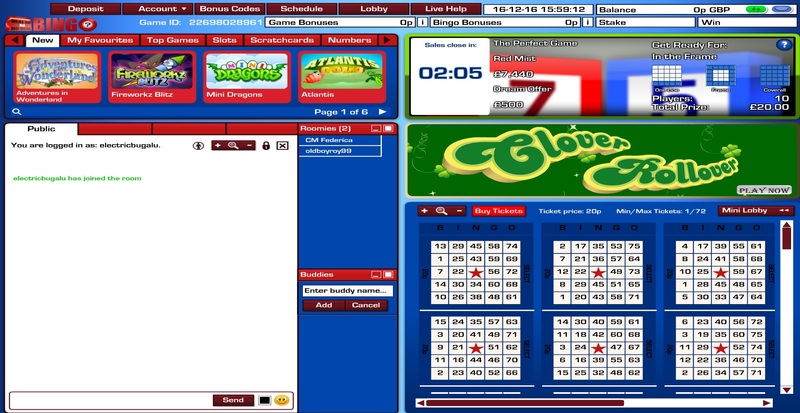 Deal or No Deal Bingo also have a Rewards club, which allows users to earn points when they play bingo and certain side games within the site. To stay within the rewards scheme, players must deposit every 90 days, or lose the chance of higher rewards. The scheme is based on levels, which means that the more you play, the higher you level up and win bonuses in-game. When you register for Dream Bingo, you will be asked to give some personal information such as your name, email address, date of birth and gender. 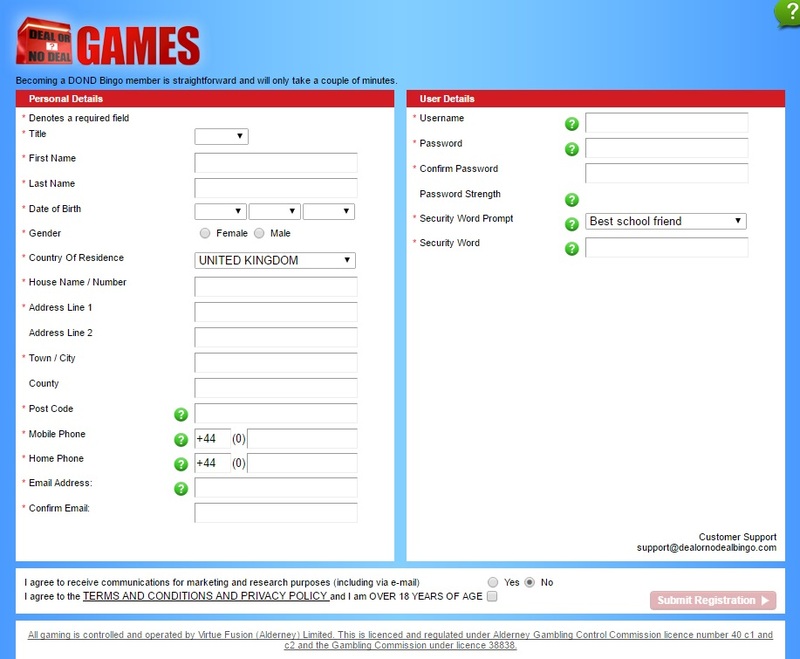 You can find a screengrab of the Deal or No Deal Bingo Registration above – you will need to provide a phone number. 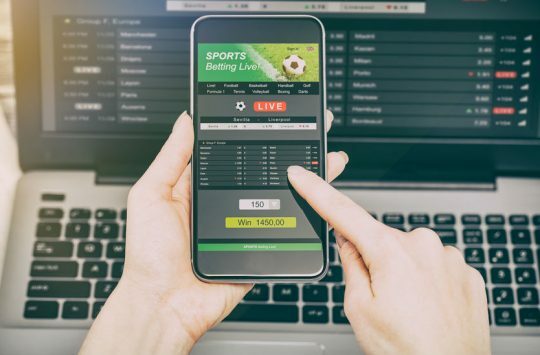 However, you will not need to automatically enter your card details until you have had a chance to browse around the site and decide which games you would like to play, or even if this is the right Bingo site for you. This Bingo Site is unique, in that the bingo balls appear as the traditional Deal or No Deal Boxes. Players also receive a mystery box, of which the contents they will not know. When a number is called – the boxes with the same number are automatically opened, and players can view what amounts are inside. If you win a full house, the “banker” will make you an offer, which you can choose to accept or decline. 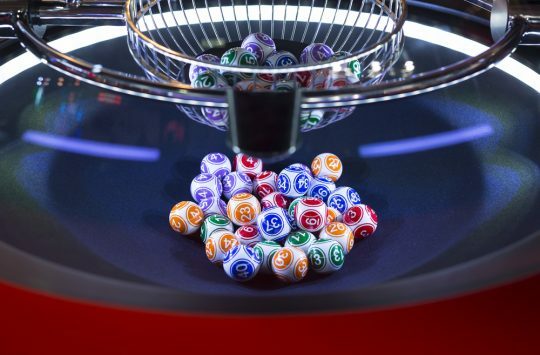 If users cannot make up their mind regarding the banker’s offer, players within the chat room can all vote in order to help the user decide, making the ggameplayfor Deal or No Deal Bingo especially unique. When depositing and withdrawing money from Deal or No Deal Bingo, the process can be quite easy. When depositing, you will need a valid credit or debit card. Deposits can be made between £10 and £500, and the minimum withdrawal you can take from your Deal or No Deal account is £20. Before you can deposit or withdraw any money with Deal or No Deal Bingo, you will need to register your credit or debit card. This can done easily (as shown above). 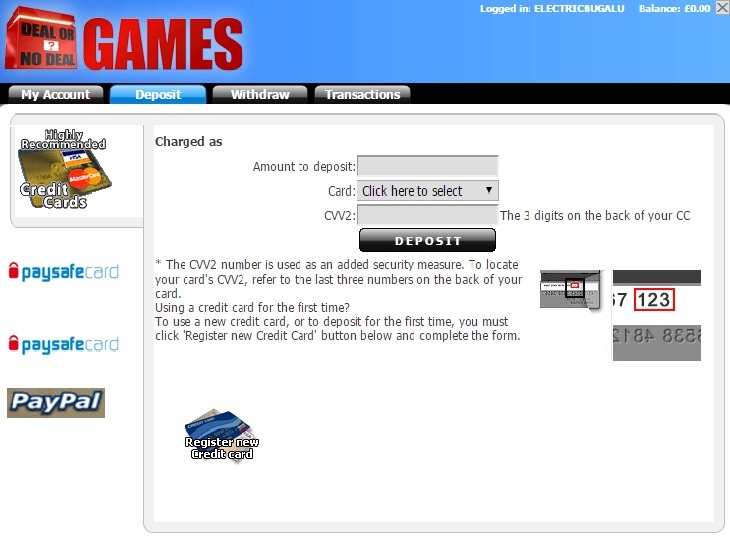 From there, you can follow the steps on screen in order to deposit and withdraw money. 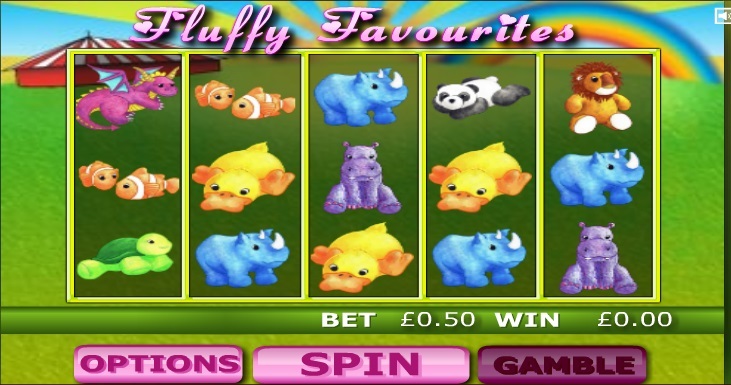 Other games on the Deal or No Deal site include “Fluffy Favourites”, a slot machine game in which players aim to win money by pairing creatures together on a virtual slot machine. Players can play for 50p per 3 games, and can win up to £10 in every game. Zodiac is also a fan favourite on Deal or No Deal Bingo. This slot machine automated game allows users to match star signs together and win money in the process! You can find the full extent of games on the Deal or No Deal Bingo Website, which you can view without making an account.